Jose A. Blanco. LOOSE LEAF. 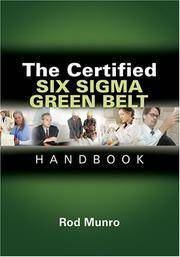 1680040413 New Textbook, Ships with Emailed Tracking from USA . New. Jose A. Blanco. LOOSE LEAF. 1680040413 US Edition Textbook, May Have Highlights, Notes and/or Underlining, BOOK ONLY-NO ACCESS CODE, NO CD, Ships with Emailed Tracking from USA . Good. Kendall Hunt Publishing. PAPERBACK. 1465241434 US Edition Textbook, May Have Highlights, Notes and/or Underlining, BOOK ONLY-NO ACCESS CODE, NO CD, Ships with Emailed Tracking from USA . Good. Kendall Hunt Publishing. PAPERBACK. 0757510906 US Edition Textbook, May Have Highlights, Notes and/or Underlining, BOOK ONLY-NO ACCESS CODE, NO CD, Ships with Emailed Tracking from USA . Good. John Wiley & Sons. PAPERBACK. 0471124664 US Edition Textbook, May Have Highlights, Notes and/or Underlining, BOOK ONLY-NO ACCESS CODE, NO CD, Ships with Emailed Tracking from USA . Good. American Society for Quality. Hardcover. 0873898915 US Edition Textbook, May Have Highlights, Notes and/or Underlining, BOOK ONLY-NO ACCESS CODE, NO CD, Ships with Emailed Tracking from USA . Good. 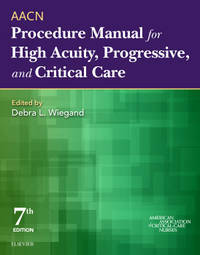 A., Roderick; Munro, Ph.D.; Maio, Matthew J.; Nawaz, Mohamed B.; Ramu, Govindarajan; Zrymiak, Daniel J.
ASQ Quality Press. Hardcover. 087389698X US Edition Textbook, May Have Highlights, Notes and/or Underlining, BOOK ONLY-NO ACCESS CODE, NO CD, Ships with Emailed Tracking from USA . Good. American Society for Quality. Hardcover. 0873898915 New Textbook, Ships with Emailed Tracking from USA . New. ASQ Quality Press. Hardcover. 087389698X New US Edition Textbook, Ships with Emailed Tracking from USA . New. Kendall-Hunt. Hardcover. 1465213201 US Edition Textbook, May Have Highlights, Notes and/or Underlining, BOOK ONLY-NO ACCESS CODE, NO CD, Ships with Emailed Tracking from USA . Good. Kendall-Hunt. Hardcover. 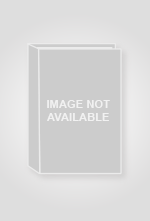 1465213201 New US Edition Textbook, Ships with Emailed Tracking from USA . New. Prentice Hall. PAPERBACK. B009JVPSZ8 US Edition Textbook, May Have Highlights, Notes and/or Underlining, BOOK ONLY-NO ACCESS CODE, NO CD, Ships with Emailed Tracking from USA . Good. Example Product Manufacturer. PAPERBACK. B00A2KFQ52 US Edition Textbook, May Have Highlights, Notes and/or Underlining, BOOK ONLY-NO ACCESS CODE, NO CD, Ships with Emailed Tracking from USA . Good. Wadsworth. Hardcover. B0080R48Z8 US Edition Textbook, May Have Highlights, Notes and/or Underlining, BOOK ONLY-NO ACCESS CODE, NO CD, Ships with Emailed Tracking from USA . Good. Worth Publishers. Hardcover. B0082M1458 US Edition Textbook, May Have Highlights, Notes and/or Underlining, BOOK ONLY-NO ACCESS CODE, NO CD, Ships with Emailed Tracking from USA . Good. Saunders. PAPERBACK. 1455710652 US Edition Textbook, May Have Highlights, Notes and/or Underlining, BOOK ONLY-NO ACCESS CODE, NO CD, Ships with Emailed Tracking from USA . Good. Saunders. PAPERBACK. 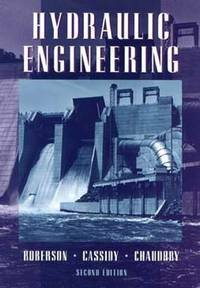 0323376622 US Edition Textbook, May Have Highlights, Notes and/or Underlining, BOOK ONLY-NO ACCESS CODE, NO CD, Ships with Emailed Tracking from USA . Good. Saunders. PAPERBACK. 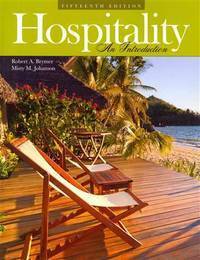 0323376622 NEW TEXTBOOK, SHIPS WITH EMAILED TRACKING FROM USA . New.